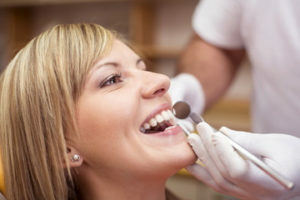 Most adults do not consider themselves in a fight against cavities. Usually, tooth decay – and its uncomfortable symptoms – is perceived as a condition that we leave behind after we reach a certain age. In the years that our team has been providing personal dental care to patients from the Windsor, Oak Grove, and Warrensburg areas, we have learned that it is never wise to think that cavities are no longer a concern. In fact, there are certain reasons why some adults may be more prone to cavities. Set up by your Teeth! One of the primary culprits of tooth decay is the natural structure of back teeth. Not only are the chewing surfaces of molars more expansive, but they are also marked with four corners and a deep center. This structure is what makes it possible to achieve the goal of chewing! At the same time, this very structure can also set the stage for cavities. This is because the depth of the crevices at the center of the molar can create hiding spots for debris. As particles of food sit in the grooves, plaque forms and the undisturbed action of oral bacteria in plaque eats away the outer shell of enamel. Tooth spacing is just as crucial to oral health as the shape of the molars at the back of the mouth. Overlapping and overcrowding are two problems that may occur to varying degrees. Obviously, severe crowding and misalignment can impede good hygiene and result in constant dental problems. However, did you know that even slight crowding may also pose a risk to your oral health? In the tight spaces in between crowded teeth, tiny particles of food may collect, opening the door for plaque buildup. One of the primary culprits of tooth decay is oral acidity. The mouth is acidic as it is, and there are certain conditions that can exacerbate this issue. One is dry mouth. When the mouth is not adequately washed with saliva, acidity becomes more pronounced. Another way that oral acidity may increase is in instances of chronic heartburn, which releases acid from the stomach and esophagus into the back of the mouth. You may not simply be “prone to cavities,” and should not accept that idea as a reality. Your dentist at Ridgeview Family Dental can help you combat tooth decay. Call 660-747-9117 to schedule your checkup and cleaning.